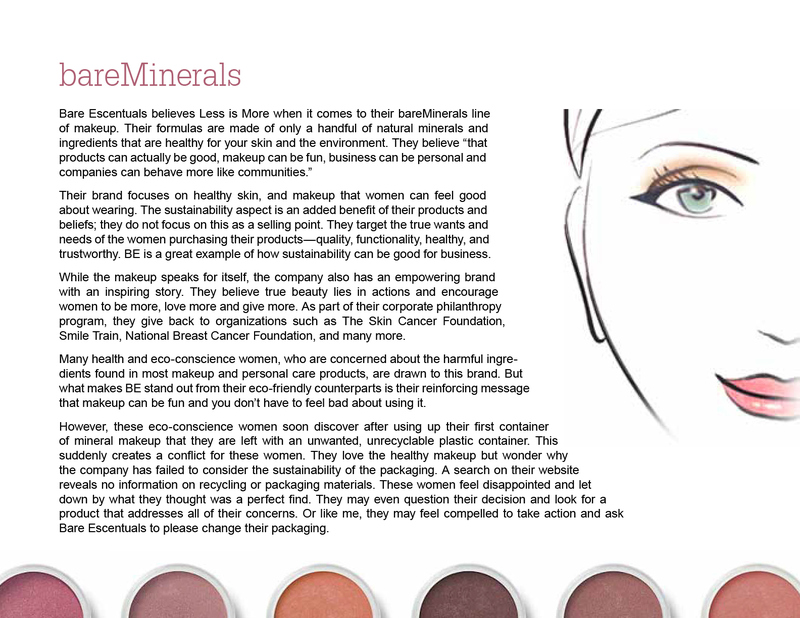 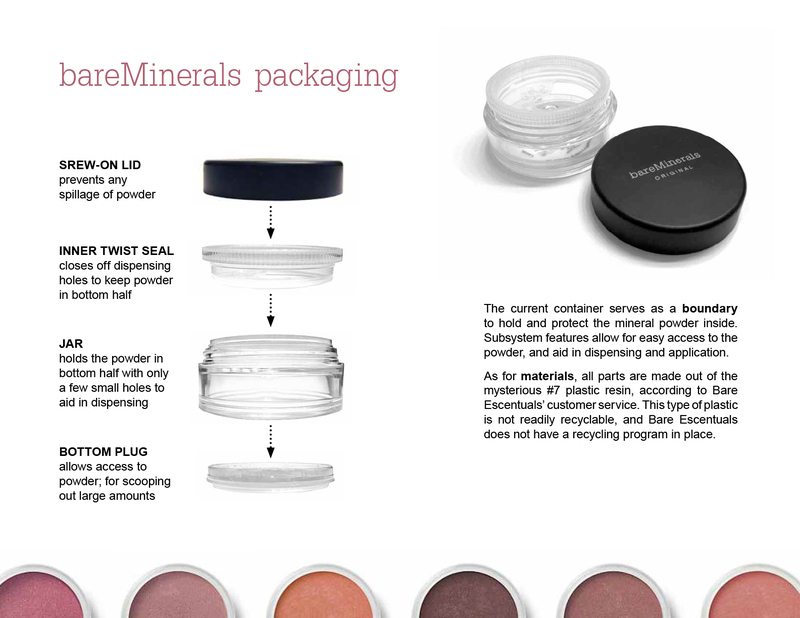 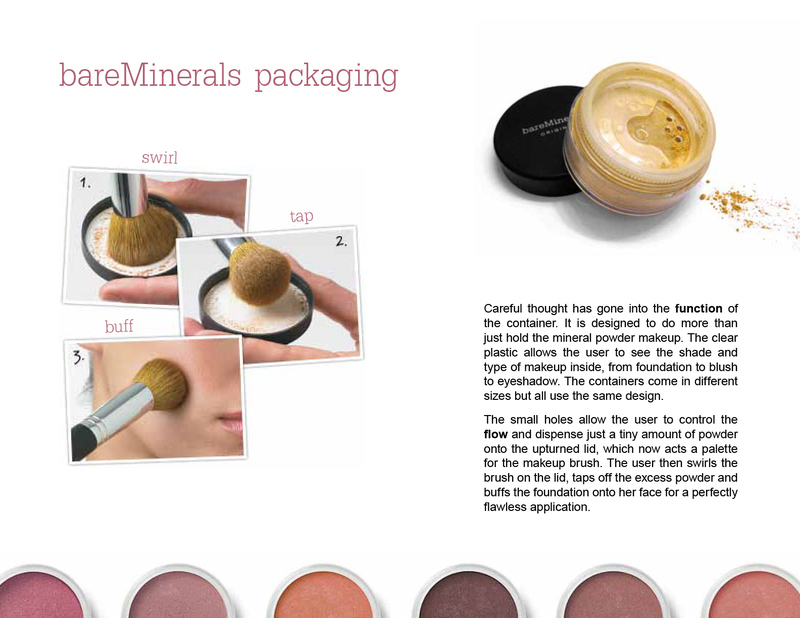 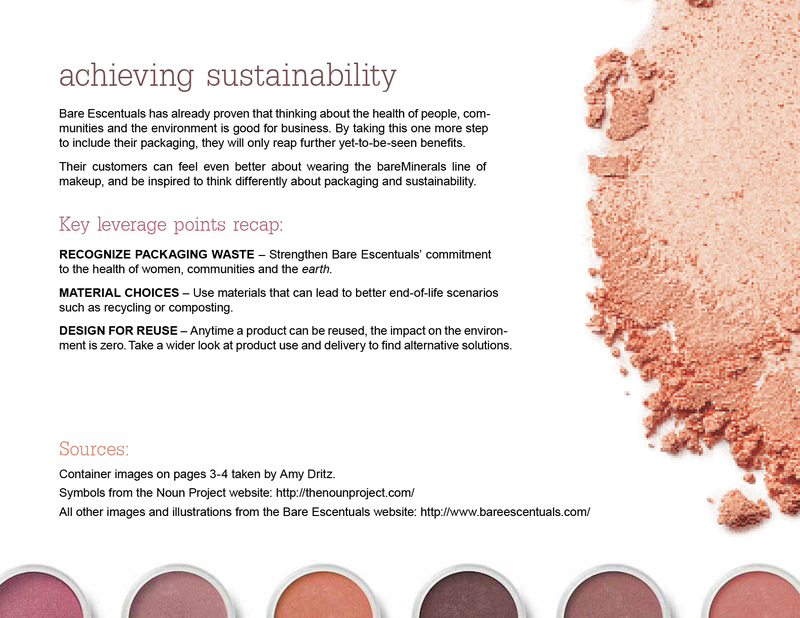 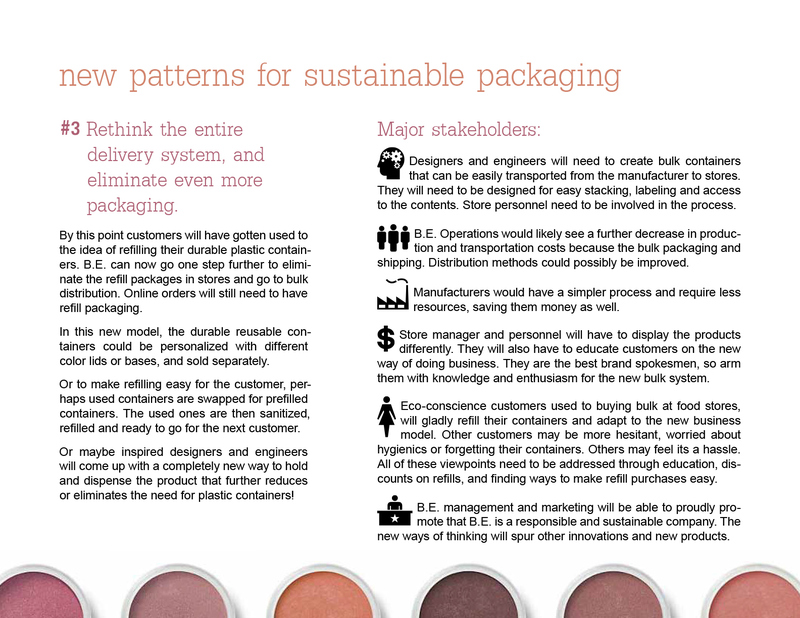 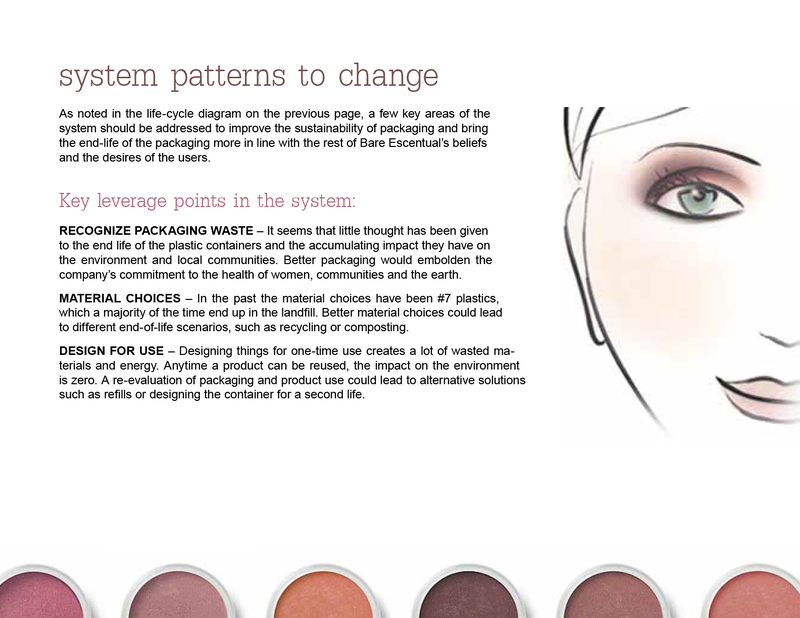 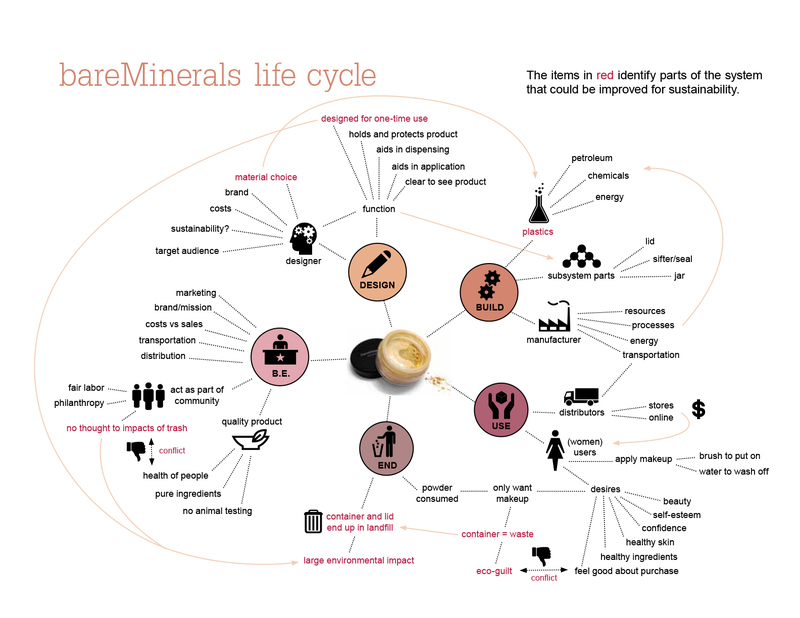 Using a systems thinking approach, this project examines the packaging of Bare Escentuals' bareMinerals makeup. 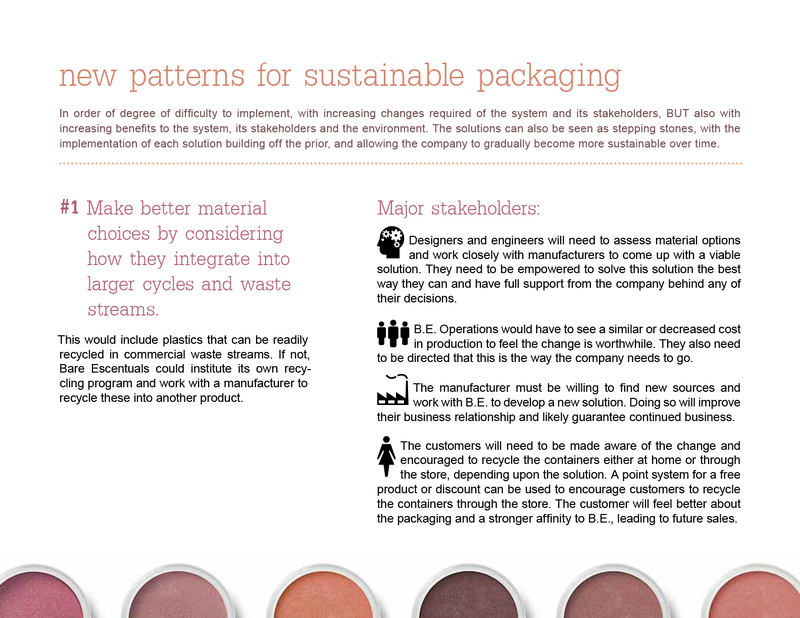 I looked at the whole life cycle of the packaging, from manufacturing and distribution to use and disposal, and everything in between. 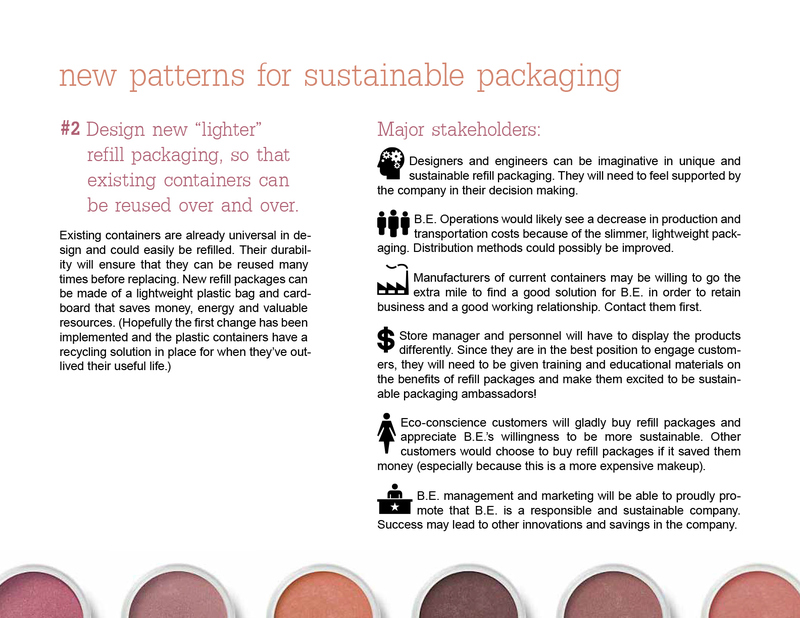 This presentation on my findings calls out key leverage points in the system that would improve sustainability, and walks through implementation strategies for each.